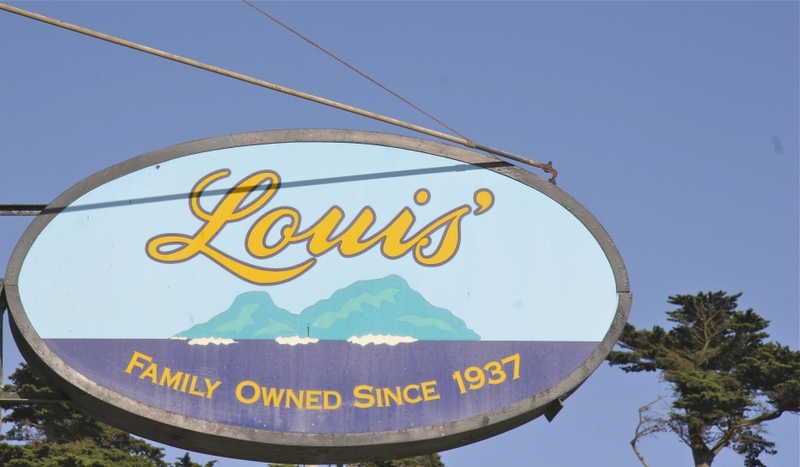 We rate Louis’ Diner as the best ocean view and American bargain. That’s a winning combo. If, after sampling San Francisco’s myriad ethnic eateries, yer jonesing for great American burgers and shakes, look no farther than Louis’ Restaurant. And speaking of looking, the view from Louis’ is an astonishment. As you dip your fries in ketchup, that’s the rocky shore of the Pacific Ocean right outside the window. It’s yours for the price of a burger. A darned good burger, a thick shake, sassy-diner service, and thou. Expect lines. You won’t be disappointed. 1. Don’t let the name fool you; Louis’ is a classic diner, not a restaurant. 2. If you don’t want to sound like you’re from Kansas, say Looies. not Lewis’. 3. Bring cash; Louis doesn’t do plastic.